Tomchin & Odom, P.A. 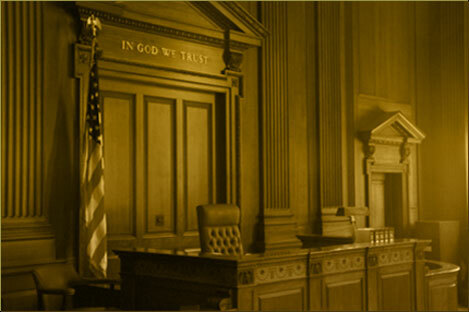 is a Jacksonville litigation law firm that serves individuals and businesses throughout Florida. The firm has been serving its clients since 1997. Each of the firm's attorneys today brings over 30 years of experience to the practice. The firm practices solely in matters of litigation, so that the attorneys may focus on legal skills and techniques in a manner that provides the best service possible to clients. The lawyers practice a philosophy of careful listening, open communication, thorough preparedness, and zealous representation in and out of court. Tomchin & Odom, P.A. is AV® PreeminentTM Peer Review RatedSM by Martindale-Hubbell®. These marks indicate superior legal practice skills and ethics. Mr. Tomchin is also certified by the Florida Bar as a Specialist in Business Litigation. Please call 904 353-6888 to make an appointment with Tomchin & Odom.